In the United States, approximately 5,000 motorcyclists die annually. It’s a tragic statistic that many people are pessimistic about, believing that there is very little that can be done in the way of safety. But maybe some of them would be swayed after seeing the latest street airbag system coming from Alpinestars. Debuting at last week’s EICMA show, the new Tech-Air Street Airbag System is already being called a game-changer in the world of motorcycle safety. 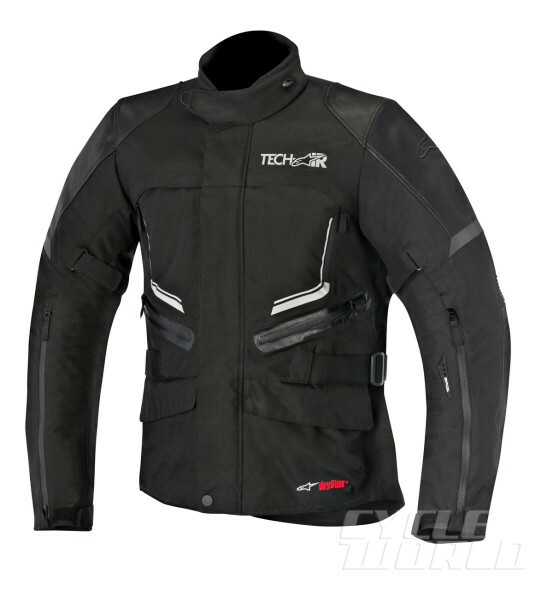 Typically, safety air bags are reserved strictly for track use, but this is the first legitimate jacket designed specifically for the everyday rider. 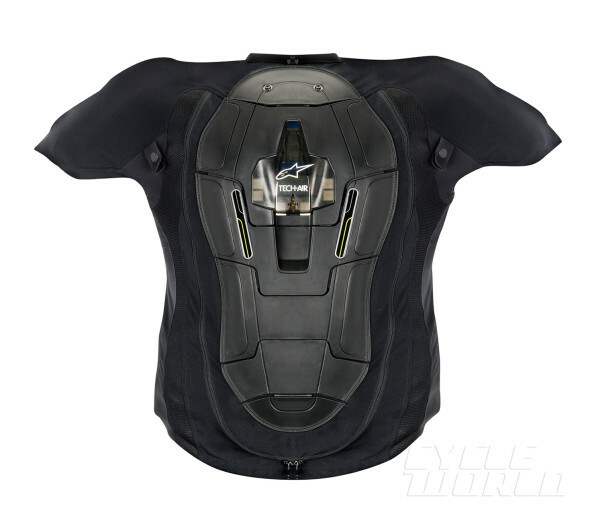 Providing the safety that every rider covets, the Tech-Air system is a self-contained under-garment device that utilizes an airbag to protect the rider’s neck and back in the event of a crash. But how does it know when to deploy? Well, the system is built to respond to hard deceleration and impact. At that time, the protection is provided. According to Ballantyne, the product has been through the most rigorous of testing. In fact, the airbag has gone through 300,000 kilometers of data gathering, and last year alone, it was deployed over 200 times on the racing circuit– never misfiring once. The airbag was even successfully deployed during a leg-breaking crash that Ballantyne himself was involved in. On top of the safety provided, the jacket is extremely easy to use. It has adjustable settings and automatic electronic sensors that help riders find the optimal balance. Now ready for production, the system has been officially CE-certified and cleared by an external medical advisory that deemed the jacket completely safe. Its deployment was proven to neither harm nor restrict the body of the rider. No official prices have been set yet, but there will certainly be a market for it. After all, health and safety is priceless. This entry was posted in Culture and tagged airbag, Alpinestars, EICMA show, smart vest. Bookmark the permalink.